The hallmark of hydroponics systems is the use of grow media (in addition to using a recirculating or passive system). However, not all grow media are the same or even identical. Each grow media has its own strengths and weaknesses and that’s what we’ll be discussing in this article. If your ambition is to eventually scale up your hydroponic production and make some money from growing organic produce, know that your choice of grow media has a huge impact on your overhead costs, especially in the first year. When you’re setting up for commercial growing for the first time, the cost of media, lighting and other equipment/gear will increase, obviously, as you increase the number of crops growing in your system. 1. Can hold a 50-50 ratio between water or nutrient solution and air. The roots of plants need to be aerated, and grow media that chokes the roots of plants is not a good choice at all. 2. Has a natural buffering effect over a period of time. Why is a buffering effect necessary to maintain a healthy hydroponics system? ‘Buffering’ means the grow media helps regulate the pH level of the the nutrient solution, so it doesn’t increase or drop precipitously over time. Sudden changes in the pH level of the nutrient solution can kill your plants. 3. Reusability is necessary, too. While we live in a world that champions organic stuff that can easily be thrown (and still be naturally decomposed), we cannot say the same for hydroponic grow media. Buying new grow media (especially the heavier, more expensive ones) can be a pain in the neck. An ideal media can easily be washed or flushed with water, sterilized and used once again in a new season of growing crops. Like soil, grow media should be reusable. This not only cuts costs but keeps hydroponics aligned with being a more environmentally sound way of growing crops. 4. The ideal grow media, upon reaching the end of its useful life, should be easy to dispose of and can be broken down naturally. It’s a good thing that manufacturers are now focusing on using hybrid materials that hold together perfectly but can be disposed of just as easily when the grow media is no longer useful. 5. And finally, the ideal grow media should not be difficult to work with – it should be relatively light, easy to move around and can be added even to small grow cups if needed. This applies most especially to the phase where the grower is germinating seeds and preparing his very first batch of crops for planting. In many cultures, the coconut tree is considered the “Tree of Life” because it provides so much useful raw material to man. Virtually nothing is wasted or thrown away, and single tree can provide wood, food and even shelter materials to people if need be. Who would have thought that this tree, which is extremely common in the tropics, would also hold the key to hydroponics glory? Enter coconut coir – a grow media derived from the discarded husks of the coconut. Yes, you read that right – this grow media, which has become exceedingly popular in recent years, is crafted from material that is thrown away when the juice and meat of the coconut fruit has been extracted. 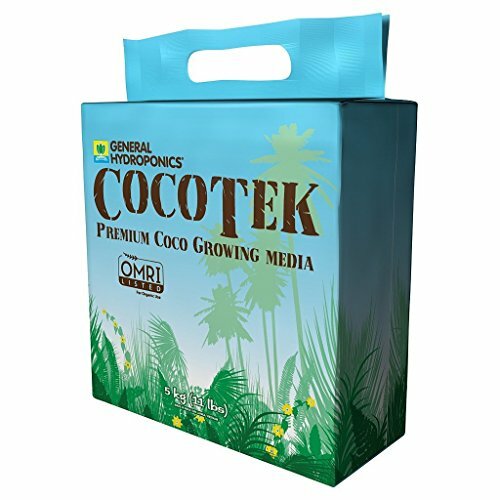 What makes coconut coir so excellent as a grow media is that it provides two immediate benefits to the hydroponics system. First, it provides a high level of absorbency (which makes the nutrient solution highly available to the roots of the plant) and second, it has a high air retention level, which helps oxygenate the root mat of the plants and prevent root rot in the process. The absorbency of coconut coir is comparable to that of vermiculite. Its ability to aerate roots on the other hand, is comparable to that of perlite, which is another type of grow media that has an incredibly high aeration capacity. Coconut coir comes in many forms, but usually people buy the pebble-type coconut coir that can be used to perfectly fill all sorts of cups and net pots of whatever sizes there may be. Coconut coir is manufactured from the shredded and sanitized husk of the coconut itself. There are two main reasons why this type of media is so dependable: one, it is naturally rich in plant hormones, which encourage growth and longevity of plants and second, the design of the coconut is to immediately take root and grow the moment viable land is available. So in effect, you will be taking advantage of several million years’ worth of plant evolution and putting that into your hydroponics system, along with the exactness and consistency of a hydroponics system. 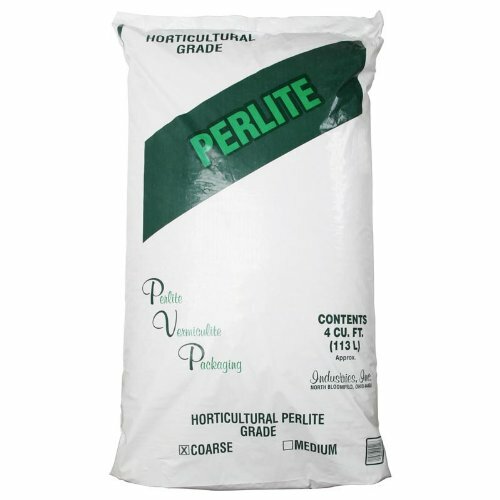 Perlite is one of the oldest grow media available for hydroponic farmers and is also one of the most notable when it comes to air retention. Manufactured from puffed glass spheres, perlite is very light, easy to apply and is also a prime choice for soil and soil-less setups that struggle from poor aeration. Take note that perlite is rarely used on its own, but rather as a supplementary media to improve the oxygen exchange of the roots with the nutrient solution. The reason why it’s not used on its own is it is almost as light as air and obviously, if you have a recirculating system, the puffed glass pellets will be carried away by the weak current. You can mix it with coconut coir or other media, but it is not recommended that you use it on its lonesome. 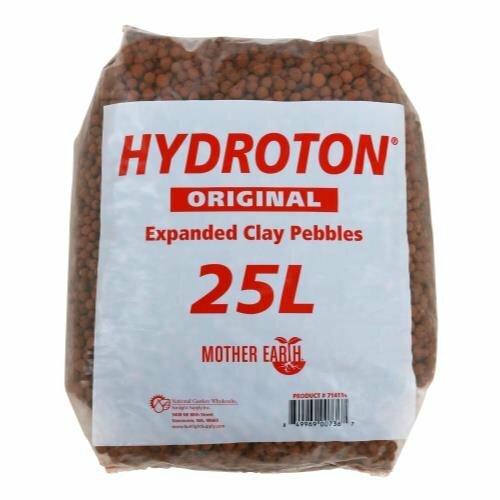 Perlite is sold in large bags in hardware stores/depots, so you can actually combine selected grow media immediately even if you’re just starting out with hydroponics. Take note also that perlite is not a good choice of media if the hydroponics setup will be regularly subjected to strong winds (as is the case for outdoor setups with inadequate shielding) as the material is light enough to be blown away by wind. LECA or lightweight expanded clay aggregate is more commonly known in the market as Hydroton and other such brand names is hydroponic grow medium derived from clay. Clay is a natural layer of the soil, but this doesn’t make LECA a soil medium, not really. It has been processed (and expanded) so that it holds water because of its increased surface area (due to the expanding process). The biggest upside of LECA is that it doesn’t alter the pH of the water, making it safe for many beginning setups. Just make sure that you wash it thoroughly first before adding to your grow pots. This would be a best practice for all kinds of grow media. Grow media tends to have residue from the manufacturing process that can mix with the water and eventually cause blockages in filters and other parts of your system. Now, some of you may have read somewhere that lava rocks provide the same benefits of LECA. Yes, there are similarities in the capacity of the two to become hydroponic grow media. However, the problem with lava rocks is that it changes the pH level of nutrient solution, as opposed to LECA, which is pH neutral. Molded starter sponges are manufactured from two materials: a special binder made of polymer that has been rendered biodegradable so it is safe for the environment and second, organic compost. Normally we think of compost as stuff that is always falling away, right? Well not anymore. Molded starter sponges are made compact and structurally rigid, so they can be used in both recirculating and passive systems without falling apart. This type of grow media is highly recommended for starting new batches of plants as they provide an excellent growth space for germinating seedlings. And the best thing about this is after the initial germination period, you can just take the sponges with the roots and gently transfer them to their main growing pots with additional grow media. Remember: only your creativity is hampering you from creating the best combination of grow media for your plants. Next to hydroton, rockwool is the second most popular type of grow media especially in small-scale, indoor hydroponic setups (passive ones). 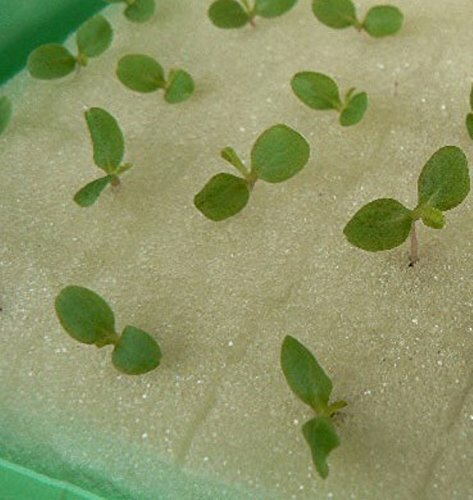 Rockwool is used extensively in commercial hydroponic production as well. There is a lot of variety when it comes to this grow media. 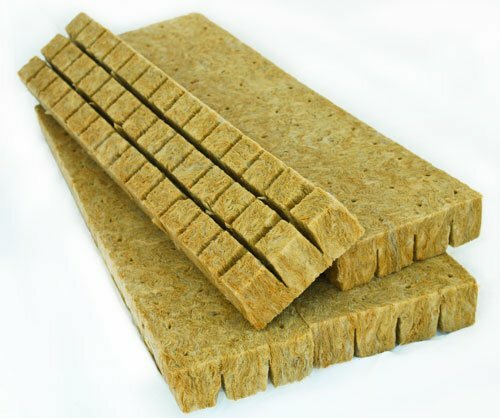 There are pebble-type rockwool bits as well as massive slabs more than a meter in length. These large slabs are used for larger vertical farms for tomato plants and other cash crops that are in demand almost everywhere. The downside to rockwool is how it is produced. Rockwool is made from melting rocks and spinning the molten rock into hair-like particles and then compressing them. The manufacturing process is definitely not that environmentally friendly so many growers are beginning to veer away from the medium.